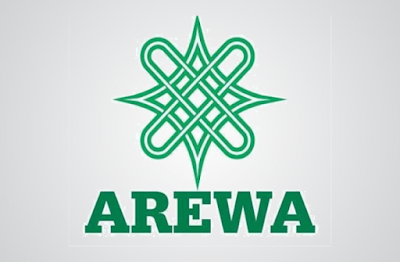 The debate on Nigeria’s future continued yesterday, with the Arewa Consultative Forum (ACF) declaring that this country cannot survive without the North. ACF is the North’s apex socio-cultural group. It is seen as its voice. ACF Chairman Ibrahim Coomassie stated this when the National Working Committee (NWC) of the Forum received leaders of the foremost northern women socio-cultural organisation, Jam’iyya Matan Arewa (JMA), in Kaduna. 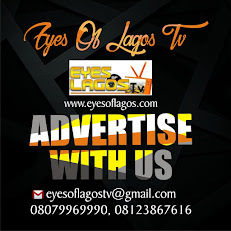 Eyes Of Lagos gathered that, The one-time Inspector General of Police said: “We all know that without the North, Nigeria can never survive. We still stand by it. But now is the time to walk the talk in the interest of our people. “Should we continue to be regarded in the negative side? No. We are leaders in our own right and we must exercise this responsibility for our people”. Coomassie urged President Muhammadu Buhari to end the killings and kidnappings. JMA Chairperson Aishatu Pamela Sadauki, who was represented by Hajiya Aliko Muhammed, said their visit was to discuss how to protect children and women from incessant attacks. She said, as mothers, they had been alarmed by continued abduction of children and unwarranted killings, particularly in the region. She stressed the need to address it now, saying it was imperative. Also yesterday, some prominent Yoruba leaders under the umbrella of Afenifere gathered in Ibadan to restate their stand on restructuring and true federalism to preserve Nigeria’s unity. To the socio-cultural group, led by its National Chairman Chief Reuben Fasoranti, the only solution to the country’s challenges is restructuring. Eminent speakers at the Afenifere Oyo State Summit include Senator Mojisoluwa Akinfenwa , Mrs Bukola Oni, Dr. Adebisi Busari, Dr. Gbola Adetunji , Dr. Omololu Olunloyo, and Chief Sehinde Arogbofa. Oyo State Governor Abiola Ajimobi was represented by his Chief of Staff, Dr. Gbade Ojo. Others at the meeting are: Archbishop Ayo Ladigbolu , Dr. Olutoyosi Omotoso , Hon. Kehinde Ayoola, Mr. Nureni Adeniran , Mr. Akin Oke , Otunba Deji Osibogun and Mr. Seyi Makinde. There were many others. Oyo State Afenifere Chairman Adetunji, pleaded for cohesion and unity of purpose among the Yoruba. Ajimobi said the “Yoruba nation must strive to continually be relevant in Nigeria’s political matrix and federal arrangement. We must not relent in networking with other ethnic groups. This has become imperative in view of the fact that in the tripod called the North, the Southwest, and Southeast, no ethnic group can go it alone without the support of others . Delivering a lecture titled: “The Yoruba Nation : For better today and tomorrow”, Rev. Ladigbolu called for immediate restructuring of the country to fast rack development . Rev. Ladigbolu who called for the preservation of Yoruba culture and heritage, said the idea of restructuring is that each component unit or ethnic nationality, no matter how big or small, desires the strength in the number provided by the union with others , but not a uniformity that can retard it’s growth or swallow it up.